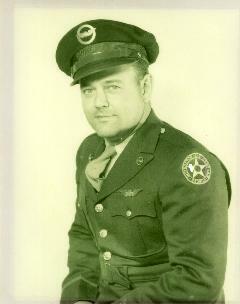 "I have a picture of my father, Gardner Birch, in a military uniform, and I can remember visiting the Grove City Airport as a young child in the late 1940's. I knew he had been a flight instructor, but I also knew he had not been in the regular military service. Why then was he in uniform and what did it have to do with his flying? What happened to the old airport I loved?" The desire to know the answers to these questions began Jane Gardner Birch's personal quest that led to exploration and writing of They Flew Proud. Part I tells the story of a national Civilian Pilot Training Program (CPTP) through the local course of study at Grove City College and the Grove City Airport. Briefly detailing the CPTP's founding in Pre-WW II, the story is set in Western Pennsylvania, where the college contracted to teach Army Air Force Cadets their academic studies. And at the airport, the fixed base operator and his flight instructors (including Gardner Birch) trained the cadets in the required basics, enough for each to embark on a solo flight. Across the U.S., more than 435,000 men and women were taught to fly under the CPTP at 1132 colleges (see list by state on Exceprt page) and 1460 flight schools. Notable pilots trained under the CPTP were astronaut and Senator John Glenn, top Navy ace Alexander Vraciu, Douglas test pilot Robert Rahn, top WWII ace Major Rchard Bong, triple WWII ace Bud Anderson, WASP Dora Dougherty, Tuskegee Airman Major Robert Diez, and former Senator George McGovern. In Grove City, 486 students of the 8th Detachment received almost 5,000 hours of instruction; these cadets then went forward to serve their nation at war before the CPTP was abruptly cancelled. 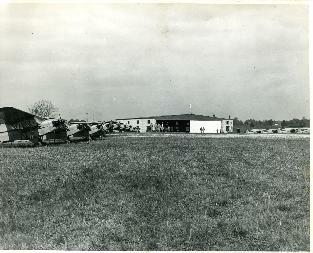 Part II tells how manager/instructor Gardner Birch refocused the airport to teach civilians to fly. He created five Solo Boards to record the 127 students and their solo dates between the summers of 1944-48. Now, 60-plus years later, a number of these men and women retell of learning basic flying skills and their solo flights and remember many wonderful and humorous aviation stories. Many reflect on how those time-tested lessons learned in aviation's early days prepared them for a smoother flight through life and created strong bonds with people with similar passions for aviation and airplanes. Eight of Birch's students video interviews are on Author/Pilot page. They Flew Proud, by Jane Gardner Birch, is available on Amazon.